This application is about VFD in variable pump injection machine, and also explains control system and features of the variable pump injection molding machine, and the differences from constant pump injection machine. The plastic processing industry has gone through rapid and stable development in recent years. As the plastic enterprises increase more and more, competition goes scorching and how to reduce production cost and enhance product competitiveness tops all the plastic manufacturers' agenda. The injection molding machine, the main production device in the plastic processing factory, always consumes as much as 70%-80% power of the factory's total. Thus, to reduce the power consumption can help the plastic producers secure a lot of money. However, for the energy saving reconstruction of the variable pump injection machine, even lots of professional energy saving companies find it no way. 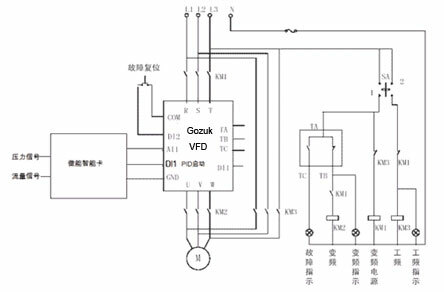 After several years' research on the variable pump injection machine, Gozuk successfully launched the new VFDs which can help the variable pump injection machine save 10%-20% energy. We position ourselves as one of the pioneers in the variable pump injection machine energy saving field in China. 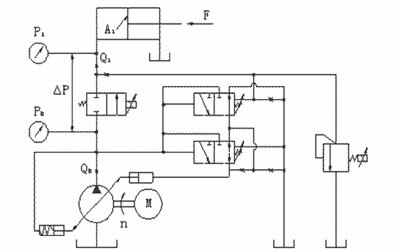 As shown above, the system adopts the constant pump for oil supply, and the motor speed n and the displacement of the oil pump Vb are constant. Production process of the injection moulding machine commonly contains several sections, and the flow and pressure in different sections are different. Previously, the plastic producers used the flow valve and pressure valve to produce the needed flow and pressure, which, however, not only caused a mass of energy wasted but also increased wear risk of the equipment. In contrast, if the VFD is installed, it can produce appropriate flow to meet the production requirements through adjusting the motor speed of the injection molding machine, and dramatically reduce the overflow, so as to saving a lot of energy. The variable pump injection molding machine commonly adopts the proportional variable pump as its drive component. Please refer to following Fig. below: the system consists of proportional variable displacement piston pump of load sensing type, proportional overflow valve, proportional speed valve, pressure feedback valve and flow feedback valve. (1) When the system is in the mode of flow control, Pb is more than P1 but less than the rated pressure of the injection machine. The proportional overflow valve will close. When the load changes, △p will change, so that Q1 will change. Those changes will be transmitted to the adjusting piston through the flow and pressure feedback valve, and the adjusting piston will accordingly drive the sloping plate of the variable pump to change the displacement of the oil pump, and eventually determine Qb. (2) When the system is in the mode of pressure control, the obliquity of the variable pump's sloping plate is quite small, thus only a small quantity of hydraulic fluid goes through the proportional overflow valve, so as to ensure appropriate pressure. It can get corresponding output pressure by changing the input signal of the proportional overflow valve. From the introduction above, we can draw a conclusion that compared with the constant pump injection machine, the variable pump injection machine can reduce a large quantity of overflow waste, making the motor maintain in the light load status. However, there is still massive energy being wasted as the motor always works at full speed and the speed cannot be adjusted, and. In addition, the machine's start mode is star-delta slowly start, which results in very low power factor. After several years' research, Gozuk launches EDS2800 variable frequency drive, which can achieve exact control to the injection machine through speed control and PID closed-loop control. 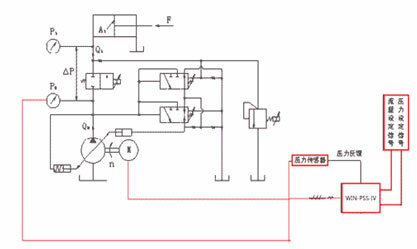 Working principle: When Qb approaches or hit the flow setting of the oil pump, the system enters the flow control mode. 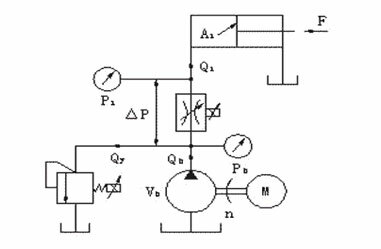 The VFD's output frequency is proportional to the flow setting of the oil pump. During the process, Qb (Qb=Vb*n) fluctuates in accordance with the production requirement, thus radically eliminating the overflow energy loss. Quick response: the response time is less than 200ms. High reliability: relieve vibration, ease mechanical wear, depress the temperature of oil, and prolong the using life of the equipments. A plastic plant in Shenzhen has reconstructed some of its variable pump injection molding machines with Gozuk EDS2800 drives. Field operation shows the VFD owns high performance and high reliability, helping the plastic producer saving up to 20%. Please refer to the table below for more detailed comparison.